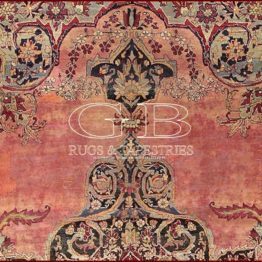 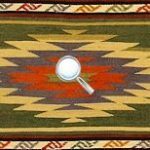 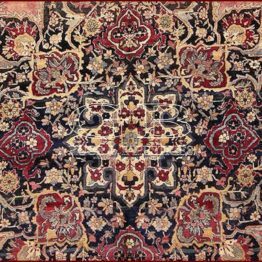 KERMAN RAVER ANTIQUE RUG these antique exemplars, above all those of half of XIXth. 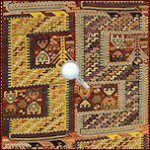 Cent., are consumed and it are for this reason that is difficult to find exemplary as these in perfect state. 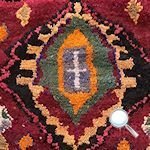 Many have been painted in the consumed parts (IT'S NOT OUR CASE), for this we recommend you to be very careful if you make purchases of important pieces. 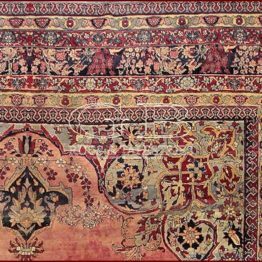 Kirman (or Kerman) has been being for a lot of years an important center of south-oriental Iran, also remembered by Marco Polo for the weaving of the cloths in silk. 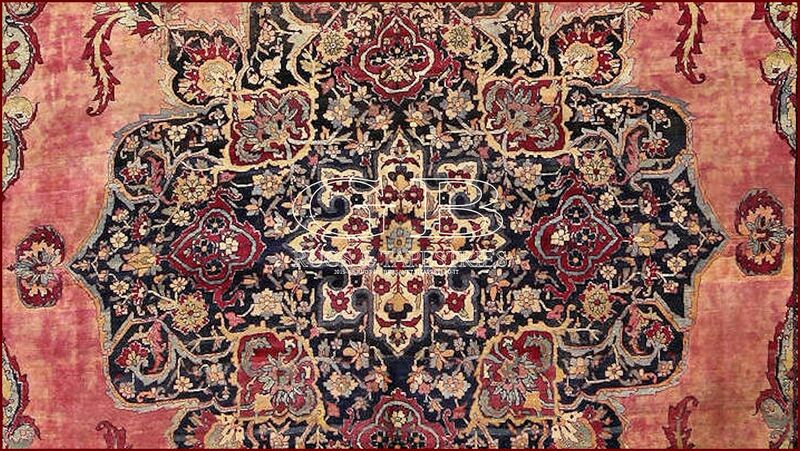 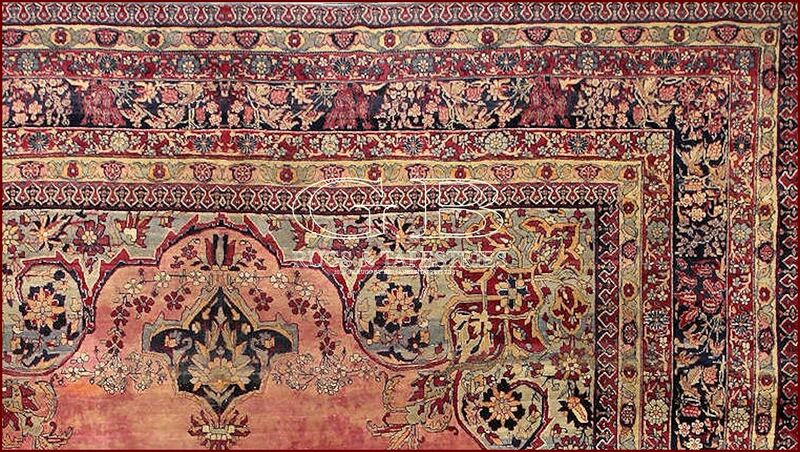 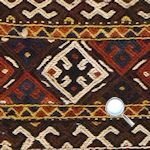 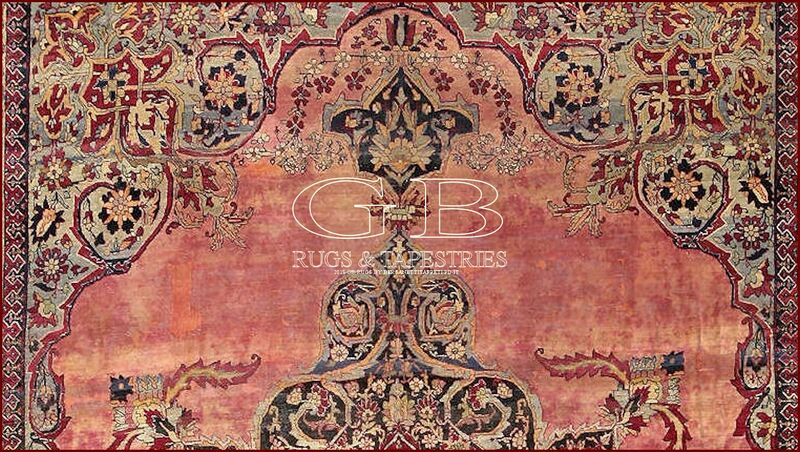 The rugs of Kerman have a rich floral decoration with medallion, or "boteh" pattern or to prayer.